Spring forward in this sunsuit with a skirted bubble silhouette. 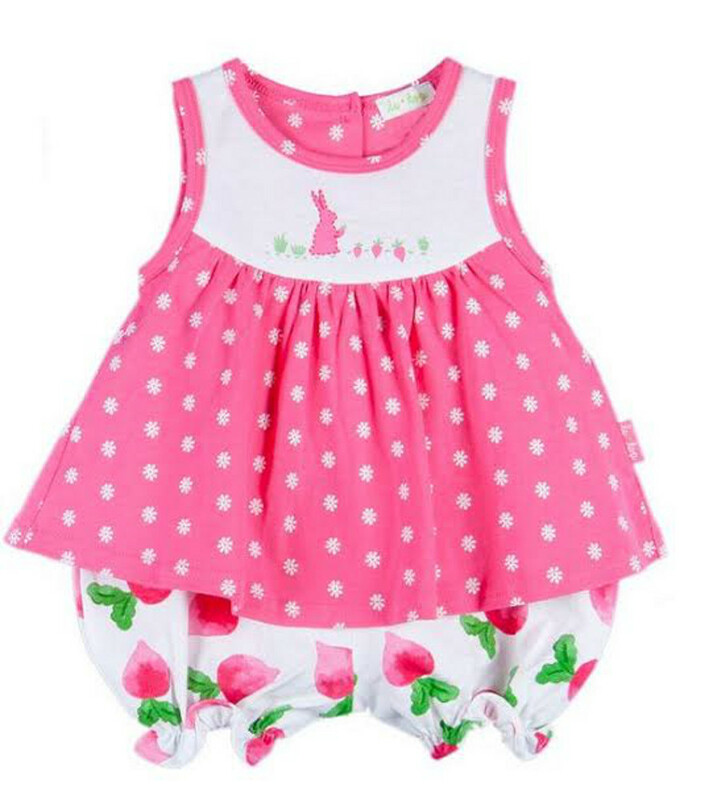 This fresh style is set apart with a bunny motif and a pink and white floral pattern. A watercolor-style radish print completes the look. Made of stretch cotton and cut with gently elasticized ruffle cuffs. Back buttons and underneath snaps assist dressing.